An attribute-based approach to identity and access. FORRESTER STUDY - Average payback in 8 months. Grow your identity management and governance efficiencies. Cloud and mobile have transformed the way IT delivers services to the business. Without an automated way to manage identities, IT has a difficult time managing complex access rules. Ivanti Identity Director powered by RES provides an attribute-based approach to identity management and access with automated provisioning, workflows, and self service. People get the right levels of access based on their identity, giving them the ability to stay productive, while the business remains secure. We realized that we needed something more than what we could achieve with just an identity management product. Identity Director is the only solution that gives us all the functionality we were looking for in one integrated product. Ivanti Identity Director combines identity workflow and Ivanti automation to help enterprises balance security and productivity. Grant access for a secure and productive first day, and automatically adapt rights as roles change or they leave the organisation. Consistently enforce policies through automation. Track and log access to sensitive apps and data to simplify audits. Aggregate attributes from Active Directory, HR, payroll, and project management systems to establish a single user identity. Manage through an auditable workflow and approval processes. Control access rights and permissions as roles change. Collect attribute and access qualification info from existing external sources. Provision access to systems, apps and services based on identity to mitigate the risk of human error and avoid manual process. 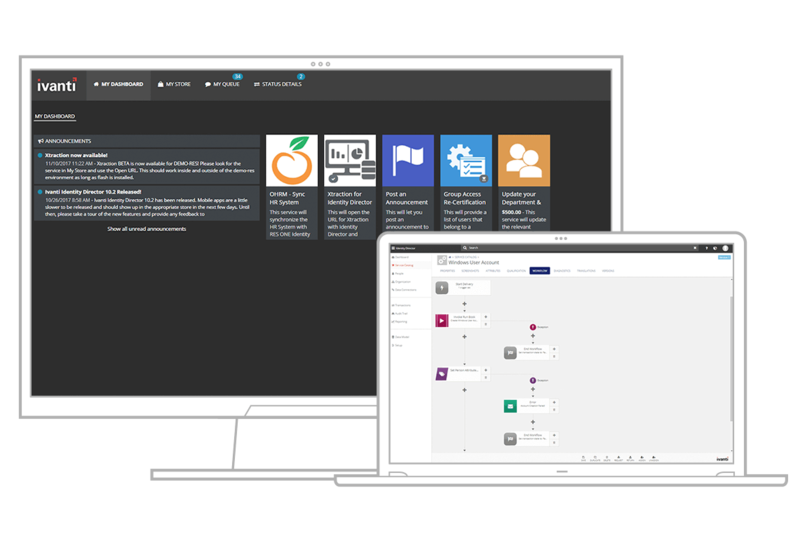 Automate and manage the execution of identity related workflows. Streamline manual processes associated with attestation and governance activities. 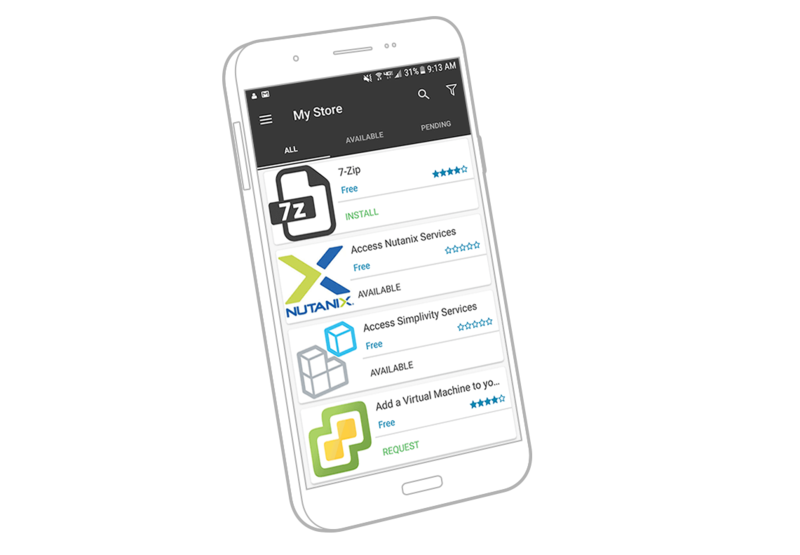 Users can request, approve, and manage available corporate apps and services via a web storefront and mobile app. Allow users to reset passwords for federated and non-federated systems as part of identity workflows. Easily connect to third-party systems. Leverage pre-built and community connectors. Don’t rely on static solutions that can’t move with the pace of your users. Automated provisioning, workflows, and self service allow you to establish and enforce policies. We’re standing by with solutions for your Identity and Access Management challenges. Reach out and let’s start a conversation. Ready to take the next step? Our helpful experts are ready to help you select the best IAM solution for your IT and business needs.